Besan laddoo. Now who doesn’t remember hogging this home made delicacy. The melt in mouth besan (gram flour) softened with pure ghee with a crunch of kaju in one off bite. Made lovingly by mothers and grandmothers during the days leading to Diwali this laddoo make the school going children’s vacation even more fun. So this Diwali, resist buying them from the store or from halwai and make it at home. Trust me, they will taste better, and sweeter. Choose a grainy besan (not very fine) for this besan laddoo recipe and the laddos will taste better. Melt sugar 150 ml (about a cup) of water. After it boils over, add the milk and clear off the scum that surfaces. Keep stirring and cooking the sugar mixture till it becomes very thick and starts to stick on the sides of the pan. After the sugar mixture is very thick (the water evaporates almost completely) add 1 tsp of ghee and remove from the gas and keep stirring it while it cools completely. After the sugar cools down you will get a thick powdery sugar mixture. Break cashews into very small pieces. Each cashew should be broken into 6-7 pieces. Heat the remaining ghee in a thick bottomed wok and roast the besan on very low flame till it turns brown and gives out a pleasant aroma. Sprinkle a Table spoon of water after the besan gets browned and mix it well and keep roasting it the sprinkling of water will give a good texture to the laddoos. After the besan is well roasted, switch off the gas. Add cardamom powder, sugar mixture, cashew nuts to the still warm besan and mix well. Apply ghee on your hands and make laddoos of even sizes. 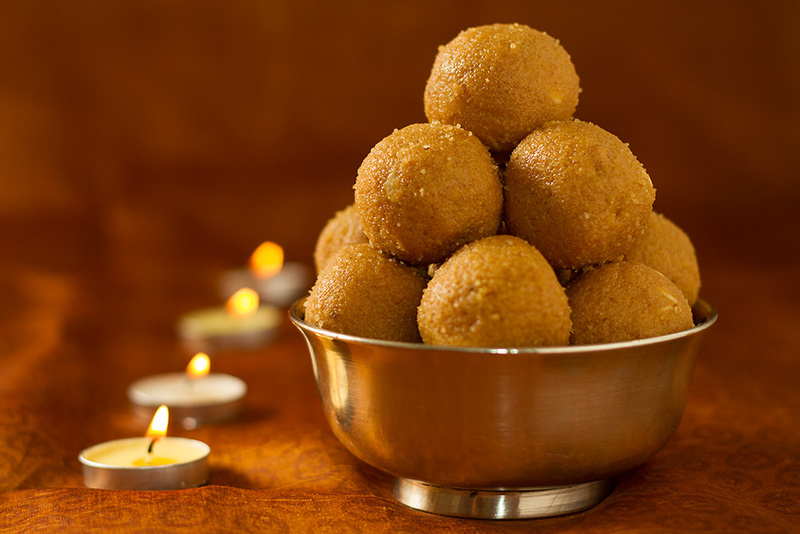 You can store these laddoos for upto a month in an airtight container. This is the perfect recipe for besan ladoos, i went through so many videos yesterday but none of them were satisfactory and i ended up adding more ghee gradually amounting to almost the same quantity as the besan but still the ladoos didn’t have that soft texture that i hoped for but this is exactly the procedure that i followed, i wish i found this link earlier my ladoos would have been perfect.. But will bookmark it now.. Thanks for sharing the recipe..